Grab a bite to eat at one of the hotel's many dining establishments, which include 2 restaurants and a coffee shop/café. Wrap up your day with a drink at the bar/lounge. Grab a bite to eat at one of the hotel's 2 restaurants, or stay in and take advantage of the 24-hour room service. Snacks are also available at the coffee shop/café. Unwind at the end of the day with a drink at the bar/lounge or the poolside bar. Buffet breakfasts are available daily from 6 AM to 10:30 AM for a fee. With a stay at Courtyard by Marriott World Trade Center Abu Dhabi, you'll be centrally located in Abu Dhabi, within a 5-minute drive of The Corniche and Al Wahda Mall. This 4-star hotel is 2.1 mi (3.3 km) from Abu Dhabi Mall and 4.1 mi (6.6 km) from Marina Mall. 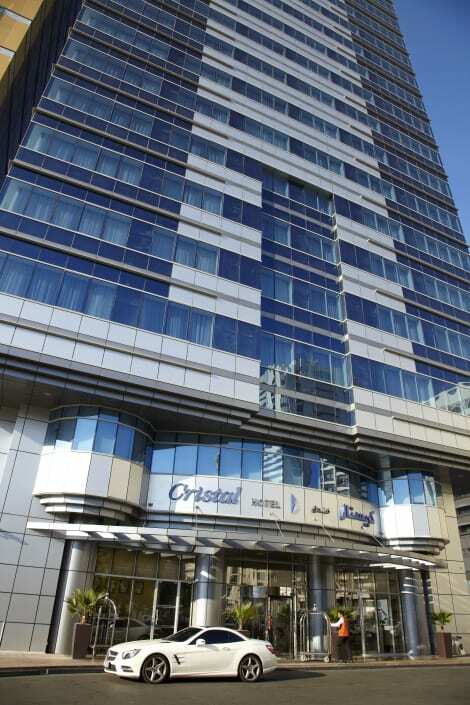 Cristal Hotel Abu Dhabi is situated in the centre of Abu Dhabi business district and provides the guests with 192 rooms and suites. It is located short drive from the airport. 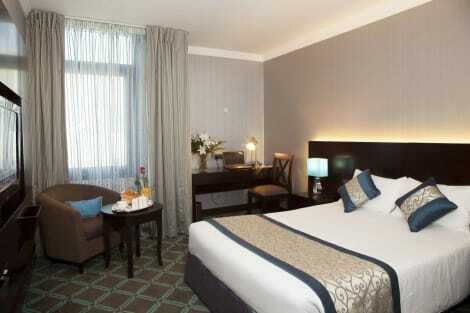 Rooms feature include LCD TV, high speed Internet access and executive desk. During the stay guests can enjoy F&B facilities: all day dining restaurant, coffee shop and 24 hours room service. At the hotel there are also available state of the art gym room as well as spa. Relax at the full-service spa, where you can enjoy massages and body treatments. If you're looking for recreational opportunities, you'll find a sauna and a fitness center. Additional features at this aparthotel include complimentary wireless Internet access and concierge services. A stay at Novel Hotel City Center places you in the heart of Abu Dhabi, within a 5-minute drive of Central Market and Abu Dhabi Commercial Bank. This 4-star hotel is 1.7 mi (2.8 km) from Abu Dhabi Mall and 3.3 mi (5.2 km) from Fish Market. Enjoy American cuisine at JW Steak House, one of the aparthotel's 3 restaurants, or stay in and take advantage of the 24-hour room service. Snacks are also available at the coffee shop/café. Relax with a refreshing drink from the poolside bar or one of the 3 bars/lounges.